As a child I always loved the moment I could shop new school goodies at the special 'back to school' corners at major department stores. School is definitely over for me, long time ago but I still love some good stationary and office pieces. 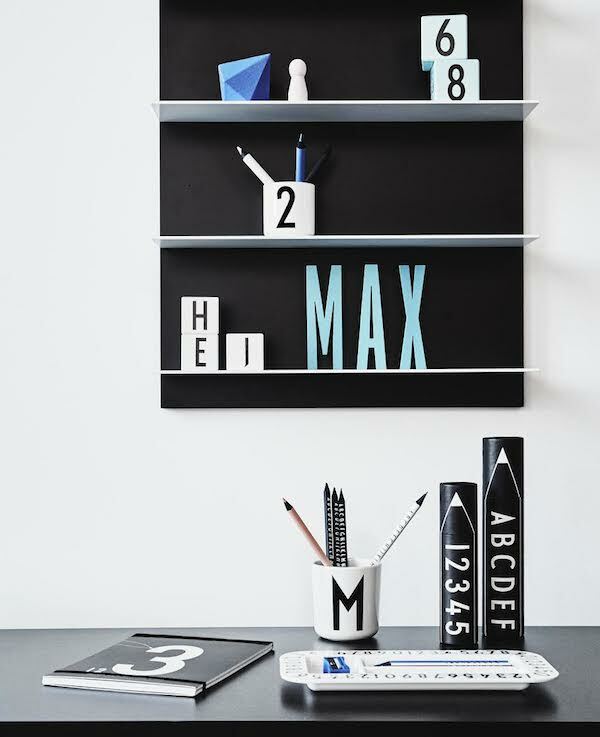 Danish Design letters may be best known for their series with the 1937 hand drawn typography by Architect Arne Jacobsen, with Design Letters & Friends they recently launched several new products and I really like the minimal 'Black Paper shelf" It looks perfect for a small home office, bathroom or the kitchen. 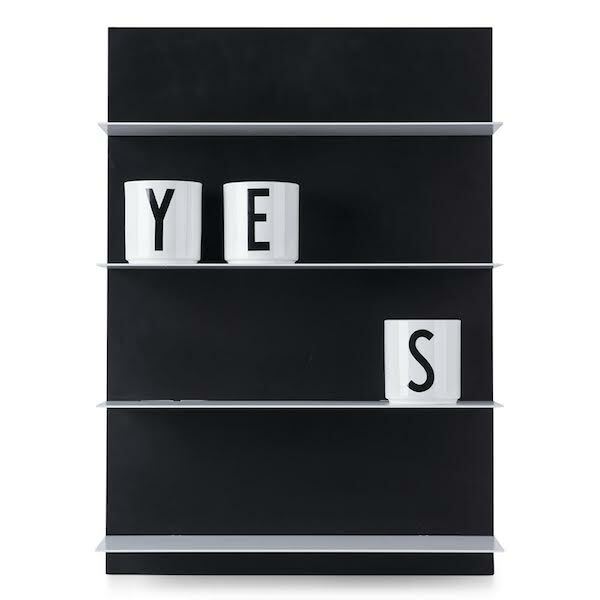 The white shelves floats freely from the back of the shelf and works optically as a line on a piece of paper and I particularly like the black back that makes everything stand out really beautiful. More news for fans of black and white, on the desk one of the new notebooks with numbers Arne Jacobsen draw for the Aarhus City Hall. 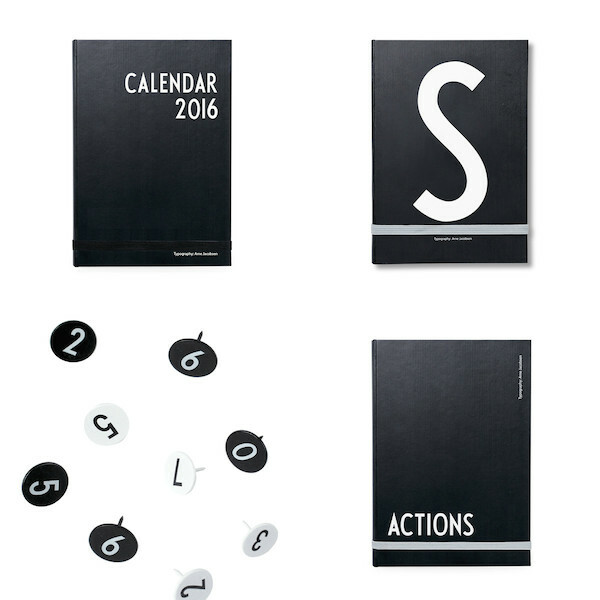 there are more black books with white words like 'brainstorm', 'sketchbook' and a weekly planner that could be really useful to plan your blogposts and a new 'calendar 2016' in beautiful black, available from September at Design letters and friends and over 700 stores in 27 different countries. Heal's London | A big thank you!